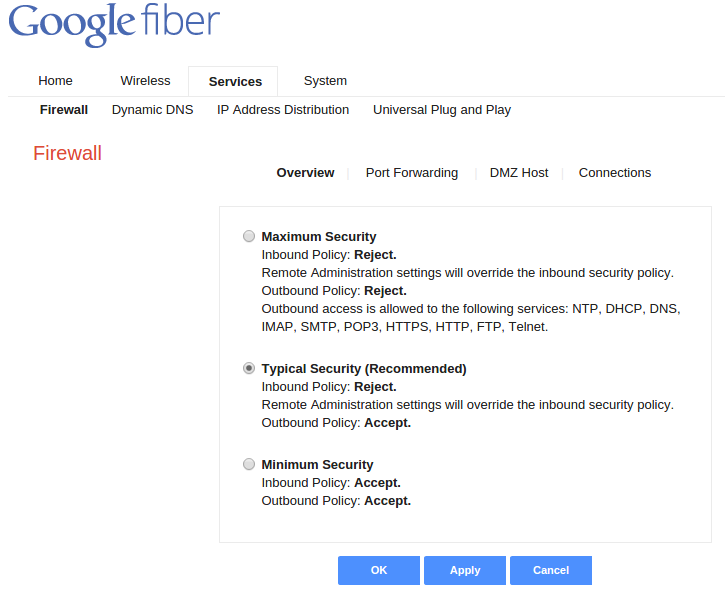 An incognito window/tab must be used if using Google Chrome to reach the fiber account because, otherwise, the Google identity in force in your Chrome session will poison your ability to reach your fiber account. Click MANAGE BILL, then click MANAGE PAYMENT METHODS. I struggled for two weeks and 4 support engineers to get port-forwarding set up. This is becuase I had too much respect for them to do stuff behind their back. I did take the leap of performing a software reset of the router; this accomplished nothing. Finally, I told the last one that I'd like to do a hard-reset of the router before giving up and returning to Comcast. He told me "Yes, I usually recommend using the red reset button on the device. Hold it down for 10 seconds." Really? Given that I explained the problem and jumped through the same hoops under the auspices of 4 engineers, none of the reached the conclusion that a hard reset would be the answer until I suggested it myself? I had not done this because I feared it would destroy whatever they set up in the firmware when the original installer came out, and because they hadn't told me to do it, I figured I shouldn't go around them. So much for blind respect! I experienced a Plex Media server-down event, perhaps as early as the evening of 6 July. It's difficult to tell because we consume from inside the LAN, so unless the server hardware or software is down, we're up. 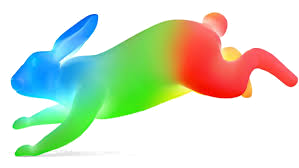 However, those outside may lose connection because of Google Fibre's Network Box. It's hard to diagnose or know unless I'm outside, but then I can't fix it. I've put the Plex application on my phone, but when I connect inside the house, it decides to go through wireless, which again, puts me on the LAN. Then what I do is kill my phone's wireless connection forcing it to use the phone's data services. That way I know whether it's really up or down. In my case right now, it's down. Because Google keeps changing how this works. To get to customer support, use this link: https://fiber.google.com/myfiber/account. Log in using your Google password, the same one you use to do mail. Look for Customer Support, call, chat or email us and click. The box expands, copy the password presented and click Go to Network Box Advanced Interface. Log in; the User name is "admin" and you replace the dots in Password with what you just copied. At this point, you can refer to the section entitled, "Soft-reset, but entirely rethought on 26 May 2015." At this point, everything looks okay, but Plex isn't on-line. So what can I do, but reset? Click OK to the question, "Are you sure you want to reboot GFRG?" This is a soft reset; it shouldn't change my configurations as taking a paper clip to back of the Network Box itself would. I see tol-eressea is still off-line for Plex according to my cell phone (whereas two others I'm subscribed to are available). I'm going to have to think of something else. Maybe this is on Plex' end. The problem is that I don't have anyone standing by to verify that what I see from my phone, which I have been counting on to diagnose this problem. I went to Plex in my browser. I click the big orange, Launch button. Click Settings (the pile of tools in the top bar toward the right). Here I found a red-circled checkmark, which I investigated. It seems I need to authenticate, which I did. Then it changed to a green checkmark. I rechecked my phone and I have access. This can't be the solution to anyone but me. Why Helene was complaining about access last Monday evening? Why, from work, I could not reach my Plex Media server via browser today? This will be the last time, I hope. Today, Jacob showed me that he had found a way to turn the Google Network Box into nothing more than a modem allowing me to use my own router. I've been using my own router all along. Jacob came across this solution last fall by trial and error: you cannot "Google" and find it, it's not in any documents and Google support isn't going to tell you how to do it. What creates this problem is that Google Fiber is simply in beta, in three cities, with beta hardware like the Network Box, and a beta organization. So Google doesn't have the system baked yet and their support engineers don't have the bandwidth to work with other than mundane customer who aren't trying to do what I am doing (serve up webpages, Plex Media, ssh into home, etc.). This had the result of forwarding everything over TCP to ports 80, 22 and 32400 letting the router sort it all out. Yeah, but that's what Google support told me to do. 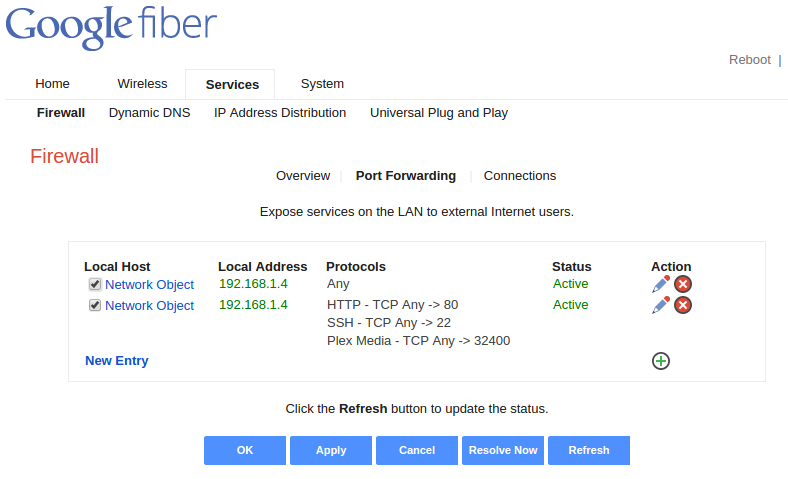 Go into the Network Box, there's an easier way, just go to 192.168.1.1 instead of https://fiber.google.com/myfiber/account. Go to Home (tab) Network Overview. We went into Services → Firewall. This is where the real work is done. Then into Port Forwarding. Here is where we tossed all the existing, broken settings. Our goal is to tell Network Box to forward all TCP and UDP traffic from any port through to the TP-LINK router on the same port. Click to create a New Entry. Establish Local Host as the TP-LINK router. This device should be listed in the Add... drop-down. Establish the Protocol as User Defined since you will not see TCP in the drop-down list. The previous action gets you a new page where you click on the plus sign under Action to establish New Server Ports. Establish the Forward to Port setting as Same as Incoming Port. Ensure that Schedule is Always. Click Apply, Refresh and OK. This should get you up and going. We turned off wireless because my TP-LINK router is already a good one of those and having two has confused everyone. Here we go again. And have I said that in 20 years of subscribing to various ISPs I have never had the incessant troubles that I have with Google? And, they've changed the port-forwarding interface again, making it even harder to use because more obscure. They don't let you name the forwarded port any more, so I can't label it "ssh" and "Plex Media server." 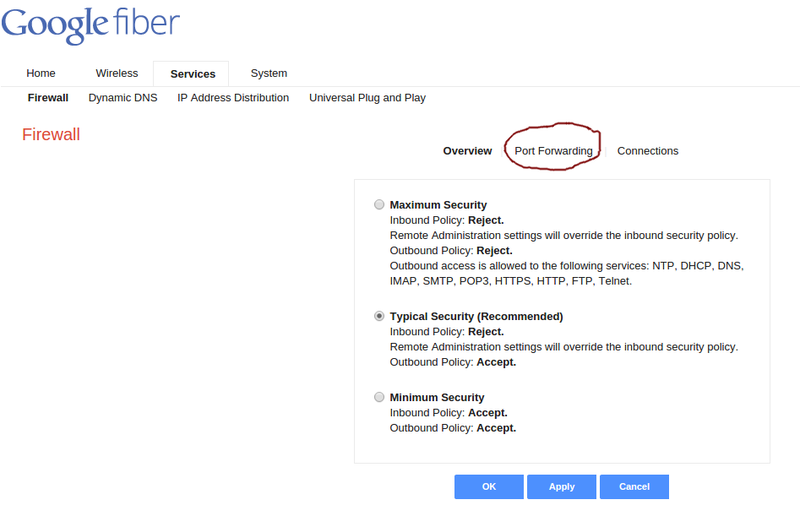 Use the steps here, just below to reach port forwarding. While getting in, Google will reset the Network Box as a result of that "yellow-background alert" thing that takes a couple of minutes. That appears to be when Google updates the software on the Network Box and that's how you get a worse and worse interface. Click Services, then Firewall. This is where Port Forwarding is now. Here are the steps this time. I saw a yellow-background alert, "Your Network Box is updating. This may take a couple of minutes." This put me back at step #3. Let's start back with step #5 above. Click button Go to Network Box Advanced Interface. Click "Continue to Advanced Network Settings". Log in, user admin / password bRjhEHDDthnW. 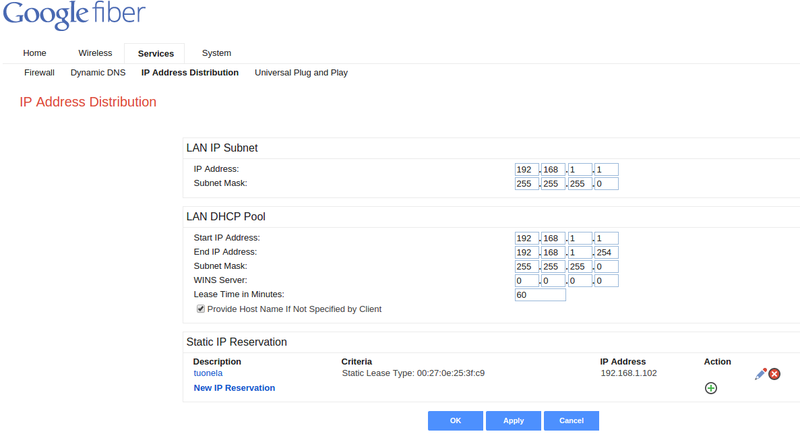 Click WAN Status (to see IP address). Now I'm going to do a hard-reset. I used a paper clip which I held down on the reset button for a long-ish cound of 10. I waited for the lighting to recover. (The Ethernet ports on the back of the router show activity. I went back to my desktop and began to repeat steps 1-5 (second set). After step 6, the browser went out to lunch on 192.168.1.1. It came back and I clicked "Continue to Advanced Network Settings." I went to set up Port Forwarding. Logging into the Advanced Network Interface is a matter of user admin and a special password given when you enable that capability. On those pages you can see everything of value. In the upper-right corner, click the Network tab. 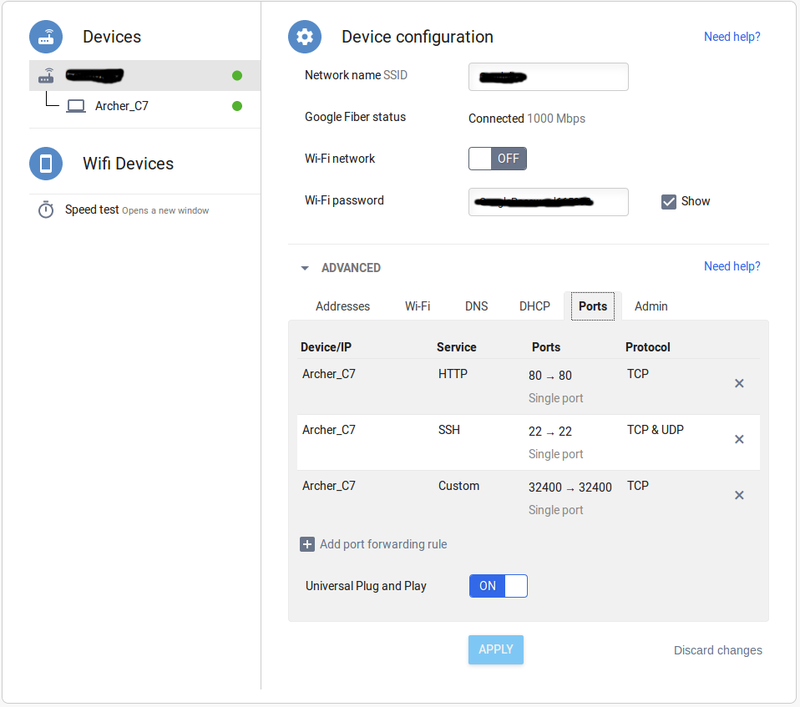 In Network Box Settings, click Enabled button to enable Network Box Advanced Interface. Record the username (always admin) and the password, something like bRjhEHDDthnW. Click the Go to Network Box Advanced Interface button. Under Advanced network settings, enter admin where it says "User name," clear the password and enter the one recorded from the previous instruction. To see this, reach the Advanced Interface page described in the steps above. Then navigate to System →WAN Status and, under WAN Ethernet, look at IP Address. You can also see there the default gateway and two DNS server addresses. Note that under WAN Fiber, you'll see Status: Down. Ignore this as meaningless. To get to these, go to Google fibre. 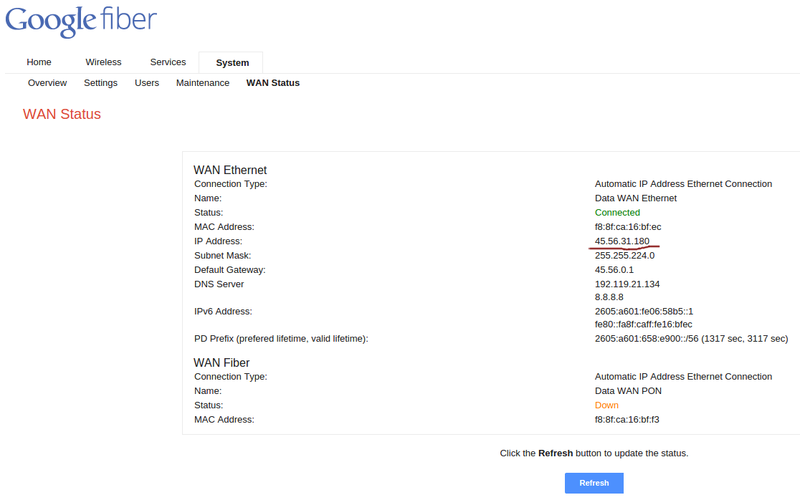 WAN Status System | WAN Status MAC, IP, DNS addresses, etc. Power off the tiny, white fiber box that couples the fiber cable to our category-5 cable. Power back on after 30 seconds. Wait to see the indicator light change from red to flashing red to solid blue. Solid blue indicates nominal condition. Power off the large, black router. Power back on after 30 seconds. Look at the long, thin light on the front of the cabinet to see it become solid blue. Verify that the RJ-45 connectors on the back are all flashing green and happy—all, that is, that are connected to happy computers on the other end. The wireless access point is in fact your black Google router box. 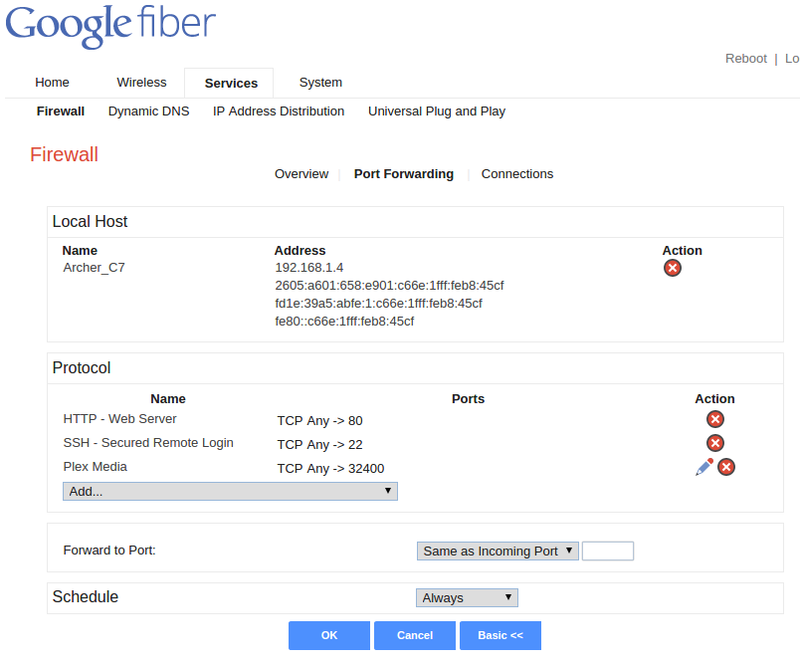 Go to the Google fiber Network Overview page for your network. Please note that there are two, 5GHz and 2.4GHz, but they appear as a single option to your house guests. Unless you know what you're doing, don't much with these as being different. Click Wireless near top of page. Next to the Virtual Access Points at the bottom of the page, to the extreme right of what's likely entitled, Data - Wireless 802.11an Access Point, under Action, Click Edit (the pencil icon). Change the name under which your wireless access point shows up for wireless devices in your house. Pre-Shared Key —the password you tell your house guests. You should make this challenging to guess. It cannot contain spaces or special characters, only upper- and lowercase alphabetic and numeric. Once finished, click Apply, then OK (or Cancel). Of course, we're talking about a static IP address on the LAN (behind the firewall). Near the top, click Services. A bit lower, above Firewall, click IP Address Distribution. Find the device (computer) whose IP address you wish to make static, or, if not listed, click New IP Reservation. Enter the hostname as Description. For Criteria choose Static Lease Type. Type in the static IP address you'd like this node to have on the LAN. Set this on your (Linux) host. Click Network Overview in upper-lefthand corner. This gives you a list of devices connected to the wireless and another of devices connected via hard Ethernet cabling. About the devices have names that are useless. This is done with an exceedingly cryptic password that you don't invent yourself. Click Network link in upper-right corner. On page is "Network Box," click that. See username admin and weird password; record password. Go to http://192.168.1.1 and use admin/weird password to get in. First we were looking at mucking with DNS, but that failed. See drop-down list. Ugh, this is ugly. Click Network (at far right near top). Copy password for admin user. 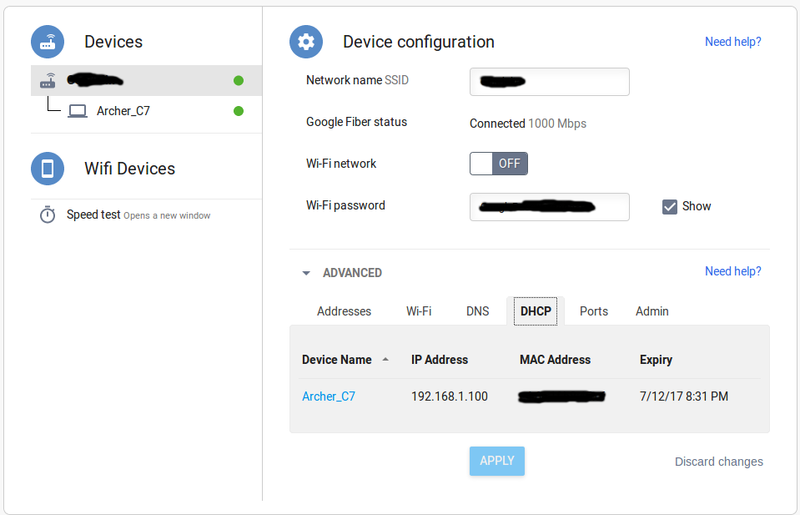 Click on Network Box Advanced Interface. Log in using admin/copied password. Down to the top-center of the page, click on Port Forwarding. Use red X to delete port or pencil to edit. 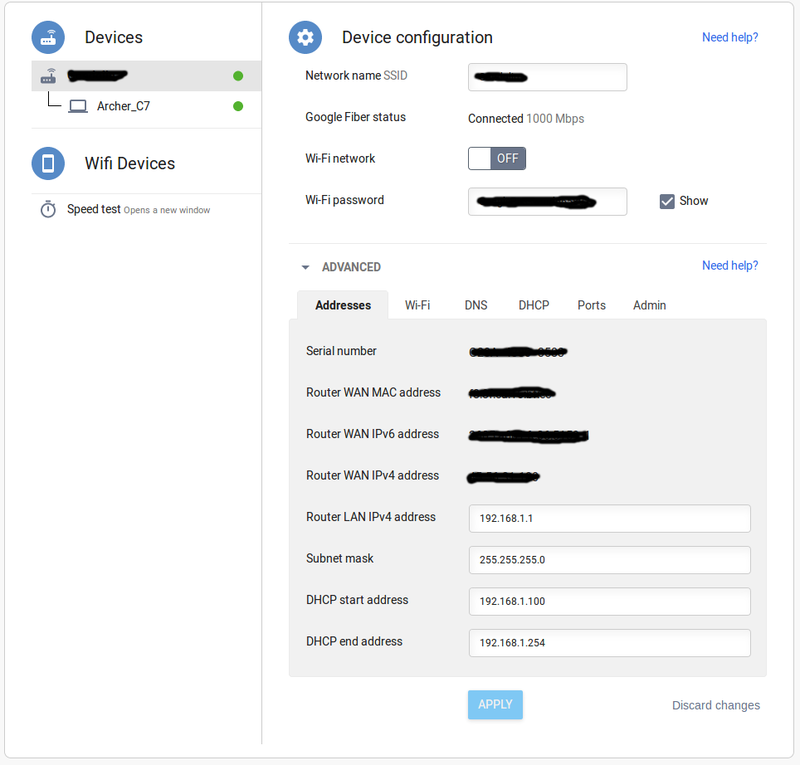 To configuring port forwarding, you can click New Entry, but you must know the name of the computer which isn't likely to be the one you know. If the computer is already in the list, click on its left on Network Object and record its name just under "Local Host." 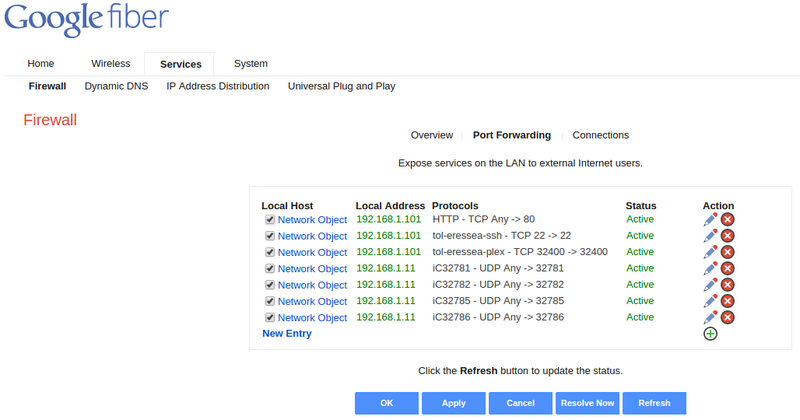 Or, if it's already in the list, just click on Network Object then below under the existing port, add a new one. If you just want to add a New Entry, clicking there, then using the drop-down Local Host Add..., you won't find your computer. Instead, click on Overview, then squint for the name, which most of the time won't be a real hostname, but you'll have to screw around in this maze of interfaces to infer what Google thinks your computer's name is. Once you've found that, look for Physical Address under the list you get by clicking IP Address Distribution. This is nasty, but what can you do? Name the service, something like "Plex Media server." 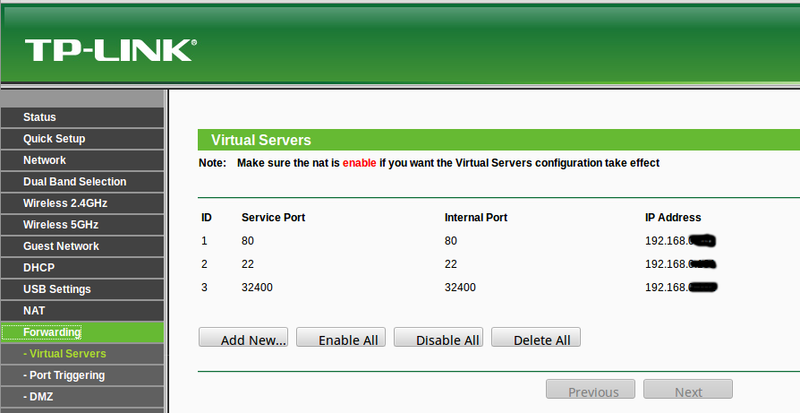 Source Ports: choose Single, then fill in 32400. Destination Ports: choose Single, the fill in 12943. Click OK again unless you wish to add yet another port mapping. Find your computer, probably a hardware address, in the Local Host Add... drop-down. If you got the right one, then the screen changes and you see the (idiot) name Google thinks your computer is called on the new page. Select Protocol, likely User Defined. Now you intersect the steps immediately above this section. Note how tol-eressea, which has static IP address 192.168.1.101, has ports 80, 22 and 32400 forwarded. HTTP works. The other two do not. 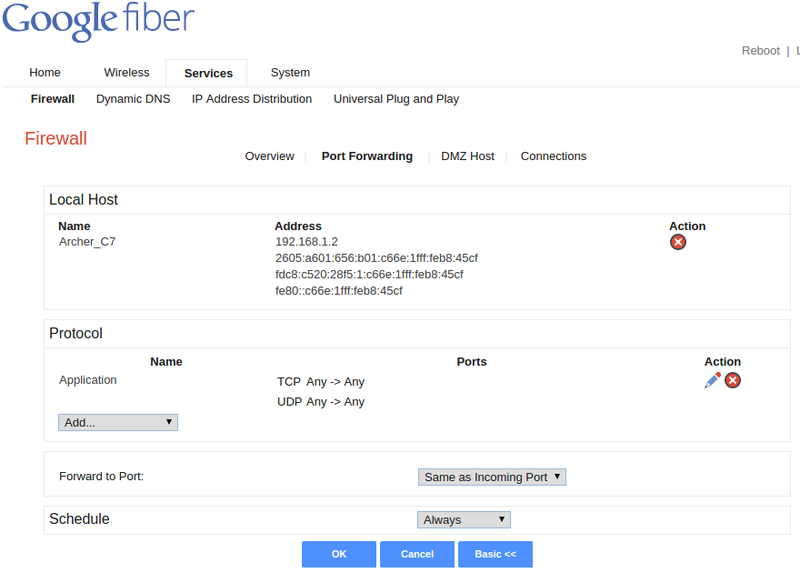 Setting up static IP address assignment? The idea is to recreate the succesful environment I had with Comcast which consisted of their cable modem and my own router to manage the network. So after two weeks, I gave up and bought a TP-LINK Gigabit Router that was pretty easy to configure. However, it really appears that Google's Network Box just won't let go. A good hour on a chat with a Google support engineer did not help either although I think I got some good advice like how to configure the port-forwarding of a user-defined port (32400 for my Plex Media server). The Google support guy insisted that I had to open the same holes through Google's Network Box as I wanted to reach the TP-LINK router. I told him I just wanted Network Box completely out of the way, but I did set up the port-forwarding he asked for. At his request, I sent screenshots for him to verify. 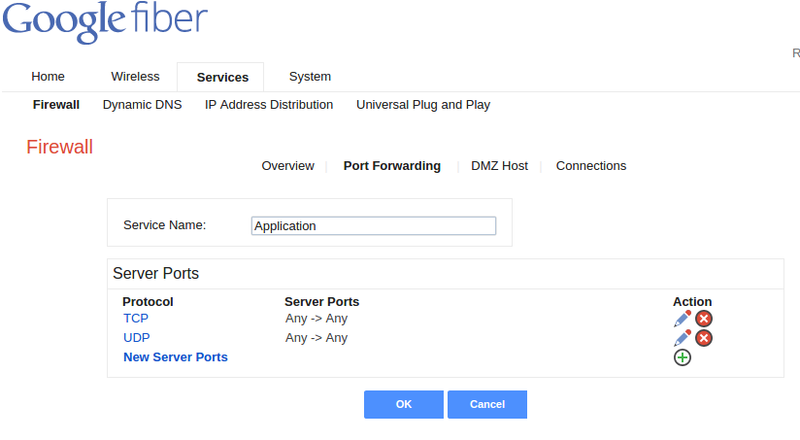 How to set up a User-defined port. This was more or less the only thing the Google support guy told me that was new. After continuing to play with the network all that afternoon and evening I conceded defeat and made the preliminary determination to return to Comcast. During the night of 31 December to 1 January there was a power outage. Clocks that were still running said about 2 minutes slower than actual time, so we figured power was out for that long. We reset the clocks, but didn't check into the WAN. We used Plex Media all day, but from inside the house (over the LAN). Powered down all modems, wireless access points, switches and routers. 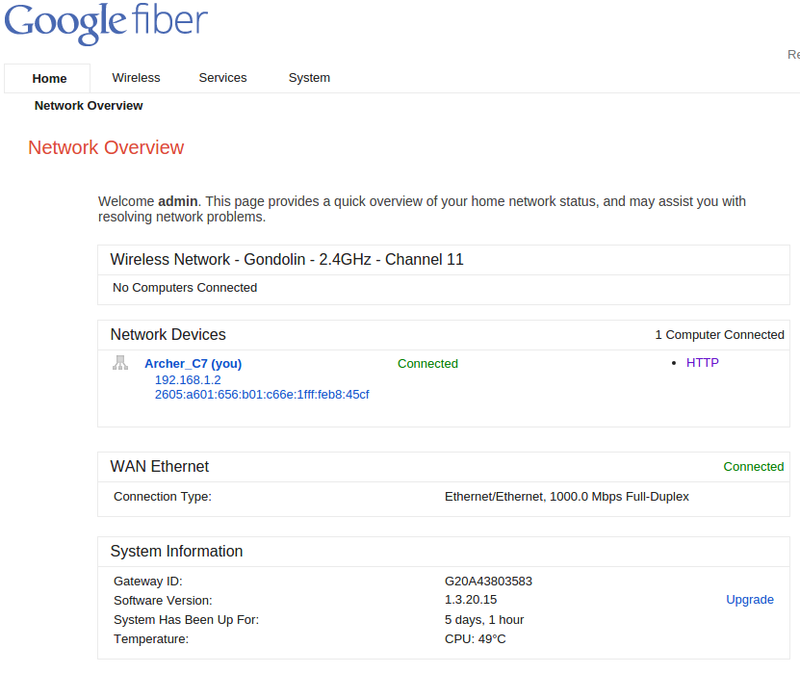 Brought Google's Network Box on-line, verified status lights. Brought my router on-line, verified status lights. Brought my 8-port switch on-line, verified status lights. Brought my Ooma modem on-line (don't care so much—we don't answer it). Then, because I don't really care about them, I brought my two (old-speed) wireless access points on-line, but I didn't fuss to make sure they were working. This time, port-forwarding began to work without my needing to reset the Network Box and re-configure the settings. 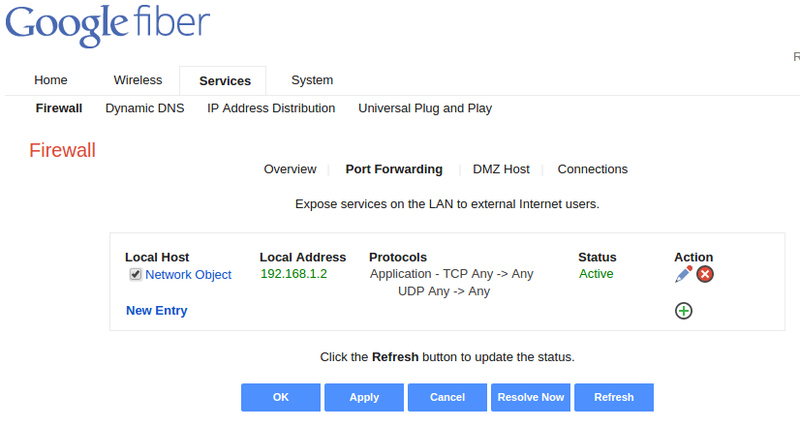 In browser, go to 191.168.1.1, the address of the Google Box. Click the Fiber Account button. Select the NetworkM menu on the left side. Clicking Wi-Fi network to turn off. Under Advanced → Admin, click RESTART NETWORK BOX.